Paramount last night released the fourth and final trailer for Star Trek Beyond. While writer/actor Simon Pegg yesterday warned on Twitter to avoid all television spots and trailers if you want to watch the film free of spoilers, he later mentioned that director Justin Lin had put together this final trailer, which he considered to be spoiler-free. Does anybody know which country gives their numbers for Beyond the earliest tomorrow.? I can’t wait to get my hands on the international numbers! Looking forward to a Friday AM spoiler-free review. Going Thursday night. My friend Scott and I will be among the first in Morgantown, WV to see Beyond (at least in 2D). Lucky dog, probably won’t be until Saturday. I don’t know if there’s a link to it somewhere but there was a new clip on The Late Show with Stephen Colbert last night that featured Uhura, Kirk, and Krall. Zoe Saldana was a guest last night. They have been really good about not deluging us with clips. It is good to save the surprises for the audience. Yep, completely agree but there are those that enjoy seeing all clips that are available. That’s why I mentioned that here and didn’t say anything specific about what was contained in said clip. I don’t want to give any additional unnecessary information. the clip is on the late show’s youtube page. very interesting clip, and also gives a clearer idea of how kirk and uhura made it to the surface. There are two Late Show clips with Zoe Saldana. Very nice, but very brief. After all the positive signs, I decided it was high time to stop being such an old grump and get into it and have fun. It wont be until Saturday for me, I meant. This should have been the first teaser-trailer that came out in December!!! Nice cutting. Almost no adjacent bits seem to be from the same part of the movie. Sulu at the helm of the Franklin somehow pilots the Enterprise away from Yorktown. Ha! It’s a very good trailer. Most reviewers seem to like the action and emotional notes, but say that the film lacks any deeper meaning… so, I kinda suspect that Trek will be better on TV. Still, this looks like a good flick so far. Very optimistic about a fun Friday at the flicks. Going to NYC tomorrow for the marathon in IMAX! Run time there says 7:19. T-28 Hours… German Premier on Wednesday … I am so damn excited !!! All looking great. They’ve really pumped up the advertising over the last month or so with so many TV spots I’ve lost count. Going this Friday with the whole Family. Can’t wait! You should know at this moment that I hate you. I really hate all of you. Why do we have to wait until August 19 in Spain to get this? Why? But it doesn’t surprises me. Paramount did the same with Into Darkness (I had the chance to travel to London to see it almost three months earlier than it was planned for my country). And it does it again and again with everything related to Star Trek. They even doesn’t recognize the existence of the fourth season of Enterprise! I am not happy at all that Paramount chose AGAIN to release it on different dates around the world. A 50th Anniversary World-wide Opening would have been much better, methinks. I’m gonna take a big guess and say maybe it’s just a matter of extra effort to adequately get everything and everyone coordinated to translate it into Castilian Spanish? It was not a problem for the 50th Anniversary special for Doctor Who, broadcasted worldwide almost simultaneously, with same day screenings in cinemas, either dubbed into Spanish or subtitled in original version. But of course we are talking about Paramount Pictures here, not about BBC. If you ask me it may have to do with the Paramount and Universal joint venture United Pictures International, still into force in Spain for Paramount Pictures movies. Why? Because since UPI you will not see any big movies from Universal and Paramount released at the same time in Spain. And following the tradicional delay in the releases it happens that in July 22 Universal releases in Spain “Now You See Me 2”. And it seems clear to me that UPI is not willing to deal with a confrontation between this and Star Trek Beyond, despite both movies have nothing in common (I may say they doesn’t understand diversity). And just in case anyone from Paramount reads this: There are lot of persons in Spain that would see a movie subtitled in original version if it is released earlier. The cinema with the second highest yearly gross in Spain only show original version movies. PS: In Spain Paramount doesn’t distribute also the fourth season of Star Trek Enterprise, neither in DVD nor in Blu-Ray. Guess what: they justify themselves on the dubbing problem, despite the series was broadcast several years ago, and it was perfectly dubbed (and not so perfectly translated, as they still insist in confusing “silicon” with “silicone”, among other big mistakes). Will be at the theater Monday the 25th. Was dreading it. Now very much looking forward to it. How is it these spoiler-rich reviews are out and about? Given the recent warnings I’ve had to three times block my ears when a commercial is on. I’m treading very carefully until Friday. That Connie with the swept nacelles and longer secondary hull is really growing on me… ironically just in time to be destroyed. Is there any Ent-A in this?!?!? Stoked! I’m getting to see a pre-release screening tonight! We are seeing a pre-screening tonight (Wednesday, 20.7.16 NZ time) at 6.15pm. Since NZ is the first country (other than some wee islands, like the Chathams, NZ) to see the dawn of a new day, I guess I and mine will be the first. nscates – Where do you live? PS Those guys looks WAY better without the beards! Please – Chris, Zach, Karl – LOSE THE BEARDS! Going to see it tonight here in Queensland, Australia at a 7pm pre-screening. As NZ is 2 hours ahead, I can confirm you’re seeing it before I will. We’re driving down to Townsville from where we are currently based, and will stay overnight before driving back. I live in Tennessee but I’m a Viacom employee. They periodically give away tickets to the worker bees. It was a blast. Really enjoyed it! And it fell on my birthday, so there was an added bonus! T – 51 hours here in London it opens 12:01am 22/07/16!!! Seeing the midnight show even though I need to be in work the next morning early!! I bought my ticket for IMAX 3D here in L.A. for 7 p.m. Thursday. But shocked when it was only 50 seats reserved so far for a theater that has 400 seats and its two days away. Yeah this may not be huge but hopefully a decent opening. Since the film doesnt sound like its going to be an absolute train wreck like many of us were predicting hopefully more people will check it out. But I’m excited now. It sounds like a big TOS episode with some great action in it. I’m giving up on these films to be deep or philosophical so I’ll just take fun and entertaining. Hey nothing wrong with that as long as they are at least that. Hopefully the new show will give us that with old Trek. Beyond looks like its going to be a great ride. going thursdays night 8h40PM !! I really want to see this movie !! I think more than the first two !!! Friday 8.30pm in Glasgow Scotland for us! Looking forward to it! This video has given me a very big excite! Isn’t that a blowup of a frame from 09. Just saw a bizarre commercial for BEYOND, which ended with the announcement of “Now with an incredible Rotten Tomatoes Score”, and a graphic in which the percentages raced up into the 80s, then went blank before hitting the 90s where it currently exists. Seems a bit risky given that only a fraction of the reviews are in, and the rating could go up or down before Friday. But moreover, it’s kind of an alarming way to promote a movie. Forget compelling substance, it’s got a high rating from a subjective online critic aggregator! Currently an RT score of 93%. Been steadily climbing from the high 80’s over the last few days. Critic wise Paramount and Bad Robot must be very pleased with the reception thus far. Will this translate into healthy box-office ? Only time will tell but I for one certainly hope so as I really like this cast and the Kelvin Timeline. Back down to 89% today. Now you see why I said it was an incredibly risky ad campaign. I saw it again this morning and the numbers raced up to 93%. It’s going to seem like they’re lying to anyone who goes to RT and checks today before it gets back up to 93%, assuming it does. Also dropped to 69% on Metacritic. Not a good way to advertise a film before most of the reviews are in and the score stabilizes. RT is down to 88% now without about half the reviews we can expect (and the TOP Critics are down to 85%). Just going to track this today to watch the rollercoaster. Wow. Down to 87%, Audience score is even lower at 86%. Top Critics at 82%. I have not seen the “Incredible RT score” ad since Thursday morning, which is a good thing considering this drop. Just saw Beyond here in Germany (Sneak Preview). I must say, I really liked it. One particular scene at the end caught me off guard and I even had to fight off some tears. Brilliantly done. The beginning is equally satisfying. The middle part is filled with action, but felt a bit uninspired. This has been said elsewhere in the press. Anyway, a worthy sequel, way beyond Into Darkness and a great celebration of the 50th anniversary of Star Trek. I saw it, too. The movie is definitely much better than Into Darkness. I think also a bit better than the first one. Overall really fun. The villain is a bit lame though in my opinion. I hope for no classical villain in the next movie. 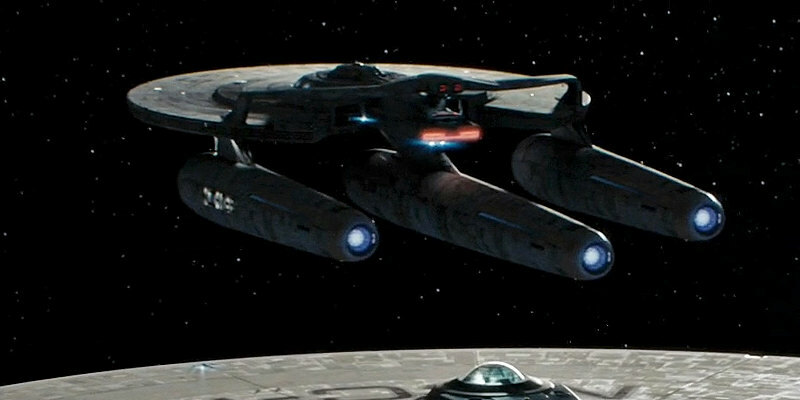 I’m always excited to see a new Trek film and try to catch it, if not opening day, opening weekend. My enthusiasm and optimism for having a good time is there and I’m pretty sure I will enjoy the movie. On the other hand, I wonder how the film will do box office wise. There doesn’t seem to be a lot of buzz or excitement that I can gather except among the fans. My thinking is the film will barely do as well, if not worse then the other Trek reboots. There’s a lot of good movies out there and more to come. Doubt it will even break $100M this weekend. As far as international box office, we’ll have to see. ID did better and was one of the best reviewed films of that summer, than the others which isn’t saying much since the other Trek films going back to the beginning were not huge international performers. Given the 50th anniversary, I’m hoping there’s a decent message in the film and that it resonates everywhere so people go back and see it in the theaters. I JUST SAW BEYOND, and all I have to say is, spoiler alert, you will cry. It’s a beautiful film and if you’re a Trek fan you will love it. We’re going to need a Spoiler thread to discuss this thing, now that its been released in Australia & NZ and most of the rest of the world as of today. Just came ou of the movie in Europe. It was really fun, though motivation was a bit lacking.